Land Rover says that the 'Range_e' plug-in hybrid is one of several working prototypes currently being developed at its design and engineering center in the U.K.
Land Rover will debut a diesel hybrid plug-in prototype at the Geneva auto show next month. The Range_e is based on the Range Rover Sport and features a 3.0-liter diesel engine as part of a plug-in hybrid system, with an eight-speed ZF automatic transmission. The Range_e has a battery-powered range of 20 miles (32km) a combined range of 690 miles and a top speed of 120mph (193 kph,) Land Rover said in a statement. 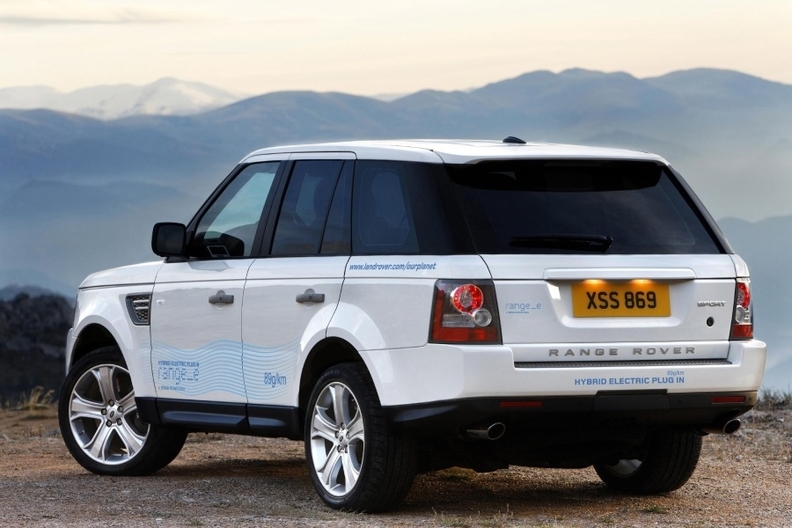 The Range_e is the first four-wheel-drive model from Land Rover to achieve CO2 emissions of 89 grams per kilometer. The automaker will also present the new Range Rover Evoque in Geneva in both coupe and five-door derivatives and is expected to release details on European pricing and optional extras for the model.